1201, B Tower Peninsula Business Park, Ganpatrao Kadam Marg, Lower Parel, Mumbai - 400013, India. 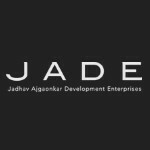 Jade Group was started in the 80’s by two socially conscious young men, Ramakant R. Jadhav and Prakash V. Ajgaonkar. Knowing that the rapid urbanization has resulted in major housing deficits for millions, they were empowered by their vision of creating ‘better living spaces for all.